First things first, I’m not actually Elon Musk — I’m Shubham Datta. Now that I’ve gotten that off my chest, let me tell you how this happened and how the internet reacted. What is the Yo app? The Yo app, allows you to say “Yo” to other people who are also on the app. You tap their name, and that sends a “Yo” to them. People can also “Yo” you. THIS IS ALL THE APP DOES — at least for now (more on that in another post). You can get the app here. I first heard about the Yo app from Robert Scoble’s Facebook page. Initially, I thought it was a silly app, that wasn’t worth downloading. 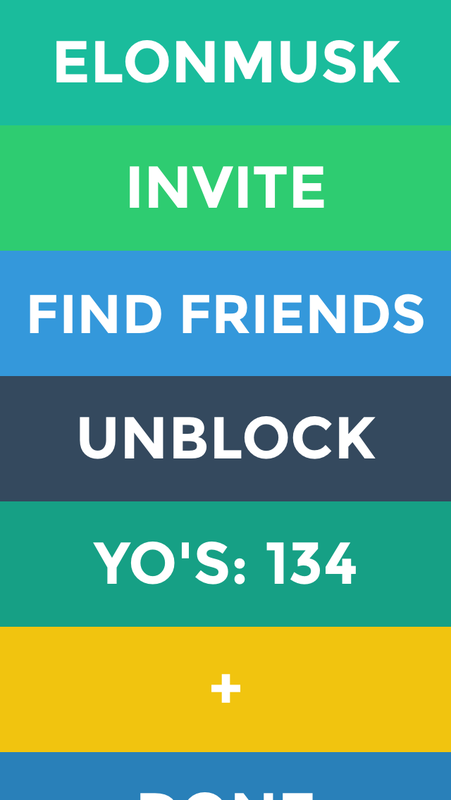 On June 18, 2014, news broke of the Yo app raising $1M so people could Yo each other. I bought into the “hype” and downloaded the app. When you first open the app, you’re prompted for a username — there’s no “Log in with Facebook/Twitter/Google” or anything of that sort. I had just read an article on Elon Musk and Tesla opening up its patents, so Elon was on my mind. Lacking creativity and wanting to see if ELONMUSK would be available as a username, I typed it in and pressed enter. My tweet inviting people to “Yo” me! This went nowhere — no replies, no retweets, not even a fave! I took an alternative approach — I went on Twitter and searched “justyo.co”, because it would yield posts from other people that shared their Yo username. This gave me a list of Yo-ers that had shared their username and I started to add them one by one to see what this Yo-ing experience was all about. @ElonMusk himself, fuelled the fire with this somewhat vague tweet (which he’s now deleted). But nothing disappears from the internet — here’s the picture. At this point, the internet became convinced ELONMUSK was Yo-ing them. I played along for a while sending Yo’s back to people who were Yo-ing me, thinking I was Elon Musk. Then I casually searched on Twitter to see what people were saying. Here’s what I found. You jerk, you troll — why did you do this, yo! Yo Internet — I’m sorry! But at least I’m coming clean and letting you know? In all seriousness though — don’t just jump to conclusions when you see things on the internet! Take things with a grain of salt, especially when it comes to anonymous apps, and anonymity in general. 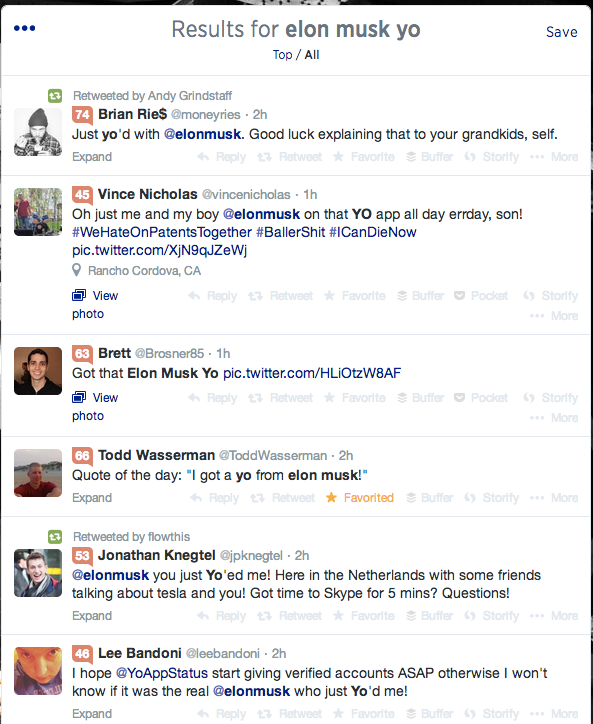 If you thought you actually received a Yo from Elon Musk today, I apologize, it was actually me. Elon is too busy changing the world to be Yo-ing you — you’re not that special! It could’ve been worse — I could have selected the user name LO, and then you’d be getting YO’s from LO… #YOLO! If you ever get bored with Tesla & SpaceX, and want to start Yo-ing — give me a shout, I’ll release the ELONMUSK username. I take donations in the form of Model S’ yo! Feel free to send me a Yo! Shubham Datta is passionate about technology, startups, sports, and investing. He is a B.Math from the University of Waterloo and is an aspiring CPA at KPMG. You can find out more at www.about.me/ShubhamDatta. If you like what you read, hit that recommend button below, and follow “Datta Bytes” on Medium!